Origin Base is a product design company that operates a multi disciplinary makerspace in Al Quoz. The makerspace is a community platform for DIYers and creative individuals to develop and materialise ideas. The facility comprises of various workshops for design, rapid prototyping, digital and manual fabrication. The makerspace offers DIY access in the form of monthly memberships, as well as flexible day passes for individuals and teams. Safety and basic use training is offered regularly for new members to access the following facilities: wood shop, metal shop, paint shop, molding and casting, laser cutting, 3D printing lab and electronics lab. The makerspace includes a makers' shop with a wide range of materials, electronic and mechanical components, as well as shared or private storage and work space. Facility is open to members Mondays through Thursdays, from 9 am to 9 pm, and Fridays 11 am to 6 pm. Sundays are off. Other specs: 100 watt CO2 laser cutters with a bed size of 90 x 125 cm, rotary laser cutter with maximum diameter of 20 cm. FDM 3D printing dual extruders available and maximum print volume of 400 x 400 x 500 cm. Hydro Printing Tank size: 120 cm x 70 cm x 100 cm. As a local, grassroots startup and the first makerspace in the UAE, Origin Base has quickly grown with the local maker community to become unique in its own way. 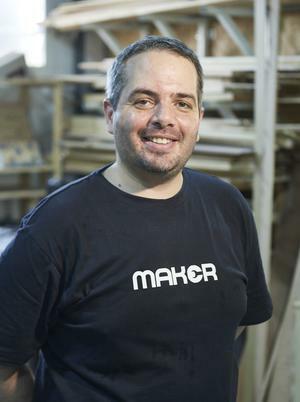 The makerspace is a core platform upon which they seek to not only enable the local maker community, but to harness a model and an ecosystem for innovation and for the maker movement to grow and flourish in the region.